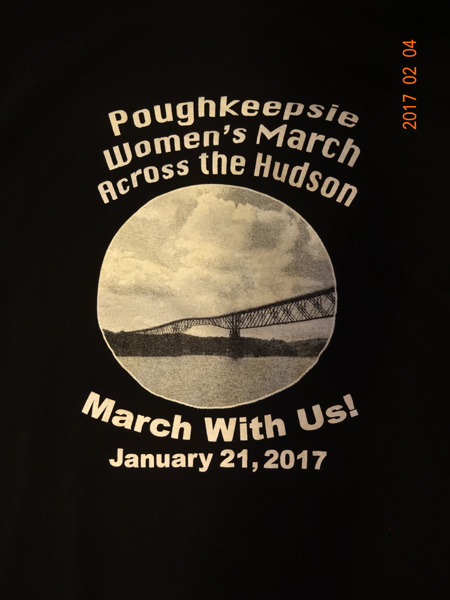 On January 21, I marched to support the rights of women in Poughkeepsie, New York. A close friend of mine braved the trip to Washington, D.C., which I did not want to try and do. So, when Tara, a friend from the Historical Society, suggested Poughkeepsie, I liked the idea. 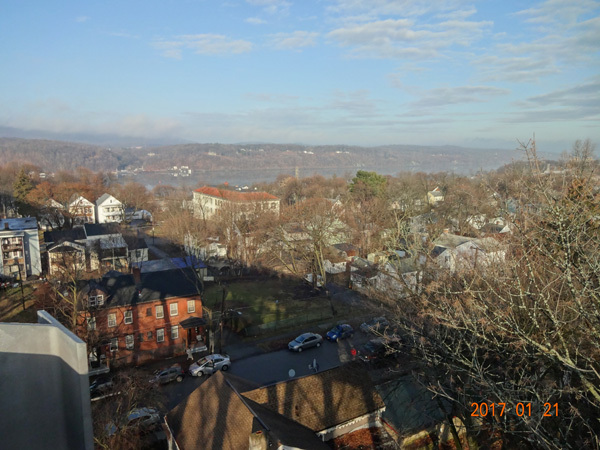 Poughkeepsie, after all, may not be a major city of the United States, but it is still a city with a statement to make. Why not help them make it? It was cold, but not as cold as it was walking across the bridge over the Hudson. It got colder as soon as we neared the other side, and remained cold until we crossed back over. There was a lot of positive vibes from the participants, and the march was upbeat. I got a cool tee-shirt to mark the occasion. Besides Tara, her friend Joanie came along. We took Metro-North in the wee hours of the morning and then walked over to the site of the march. There was no parking anywhere close to the sight as the lots were packed with participants, with many more looking for places to park. The pics are of the crossing, of Tara and Joanie, and of a Christmas tree that was still decorated at this late date.